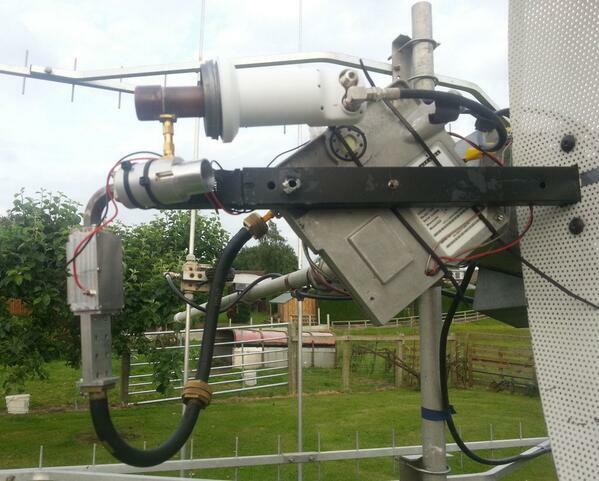 I have been using an ATV test signal from G1LPS to tweak my 24GHz rx system to somewhere near optimum (i think!). I tilted the mast over ~45degrees this afternoon to measure sun noise (solar flux=98) which is now ~5.2dB vs nearby sky so my LNA tuning has worked! 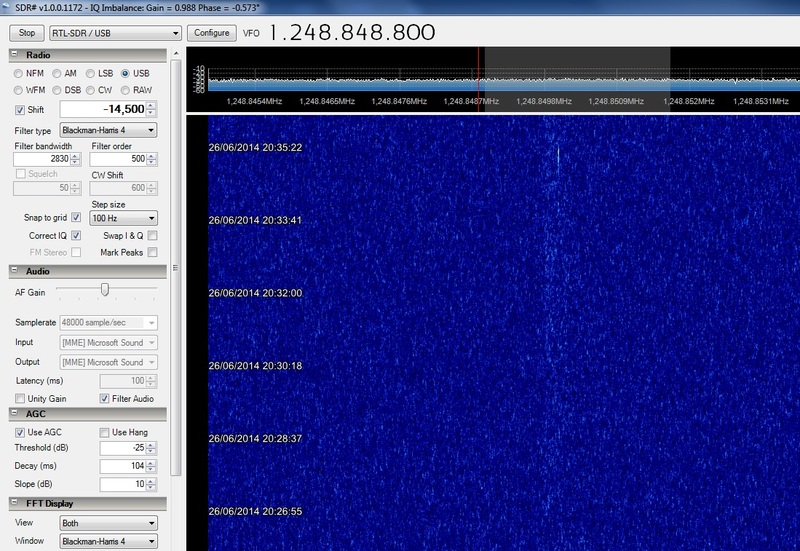 Not sure what the actual gain of the Zone 2 Sky Mini Dish is but it's obviously ok on 24GHz, Noise figure... 2dB ish? any ideas? This evening 26th June 2014 i managed to receive a very weak rain scatter signal from GB3MAN beacon 112km away from me obstructed by the Pennines! Now i think i have the Rx ability i can work on the change over arrangement and Tx amplifier! Screen grab of the waterfall is below, Note the stronger calibration test signal from my GPS reference to cal the Rx at 24.048850GHz! LO in the rx is 22.8GHz from an Elcom Synth module.